Raisins are probably one of the most popular dried fruits around. 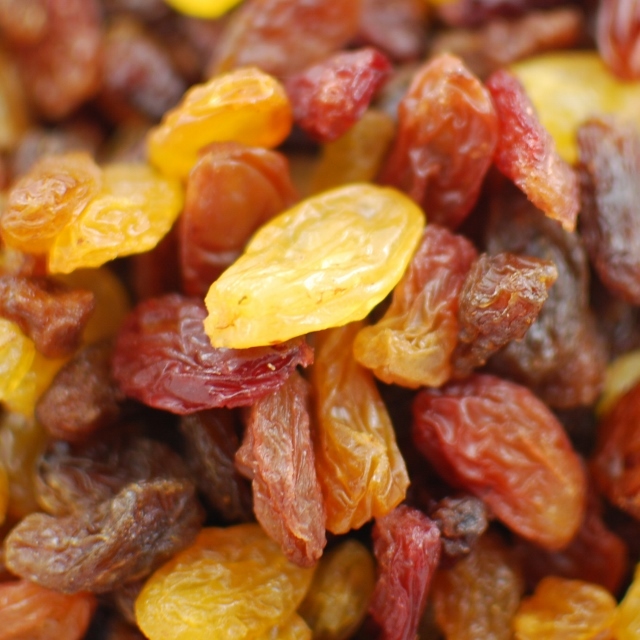 Raisins are a great sweet treat that can be added to baked goods, breads, trail mixes and more. Plump, juicy and sweet raisins are great for snacking on by the handful to add a little goodness to your day! Napa Nuts sells raisins, golden raisins, a raisin mix and red flame raisins in wholesale quantities. Our Crimson Raisin Mix is completely unique and will wow your customers who are used to the normal black raisin. Technically, they are all just dried grapes, but taste so much better than that.